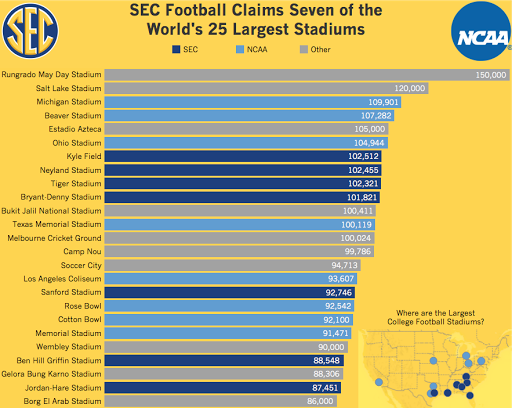 The conference’s stadiums are some of the biggest in the world, representing four of the top 10 and seven of the Top 25, many in towns that more than double in population on game days. Simple enough, right? 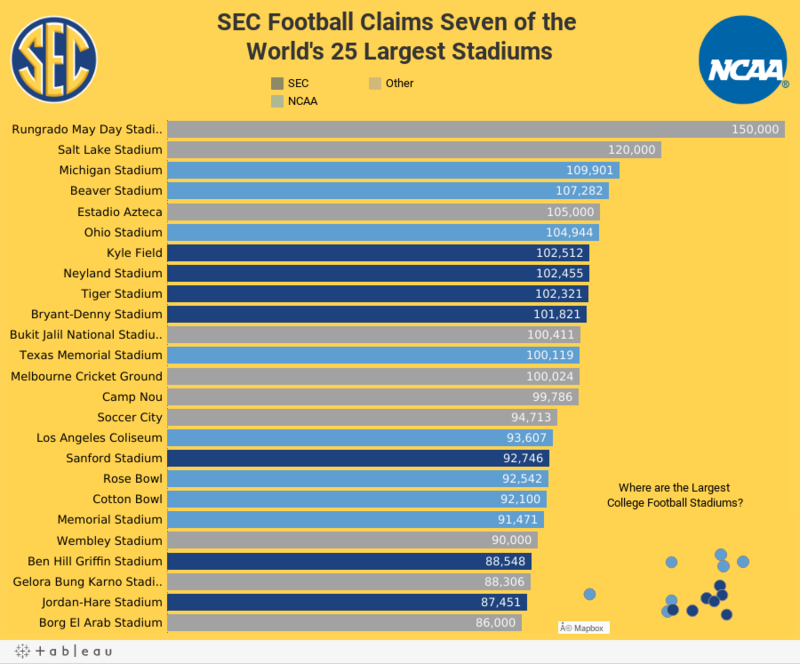 The focus of the article is on SEC football stadiums, but their method of emphasising (via bold text) is easy to overlook and comparisons to other stadiums is difficult.